The Pentagon on Friday approved a request for additional troops at the southern border, likely to total several hundred, to help the U.S. Border Patrol as President Donald Trump seeks to transform fears about immigration and a caravan of Central American migrants into midterm election gains. Defence Secretary Jim Mattis signed off on a request for help from the Department of Homeland Security, and authorized the military staff to work out details such as the size, composition and estimated cost of the deployments, according to a U.S. official. Mattis, who is travelling in the Middle East, is expected to approve the actual deployments after all the details are ironed out, according to the official, who spoke on condition of anonymity to discuss planning that has not yet been completed or publicly announced. The action comes as Trump has spent recent days calling attention to the caravan of Central Americans slowly travelling by foot into southern Mexico, but still some 1,600 kilometres from U.S. soil. Trump, who made fear about immigrants a major theme of his 2016 election campaign, has been eager to make it a top issue heading into the Nov. 6 midterm elections, which will determine control of Congress. The president and senior White House officials have long believed the issue is key to turning out his ardent base of supporters. The additional troops, possibly numbering 800 or more, would provide logistical and other support to the Border Patrol, said the official. This likely would include military engineers, aviators and perhaps military police to assist with security. No combat forces are to be deployed, but because some troops may be armed for self-defence, Pentagon lawyers were working out rules governing the use of force before final deployment decisions are made, the official said. In the current situation, active duty troops will not be on armed security missions that could lead to a similar incident. The additional members of the military would assist the Border Patrol by providing things such as vehicles, tents and equipment. There already are about 2,000 National Guard troops from Arizona, California, New Mexico and Texas there under a previous Pentagon arrangement. Those troops remain under the control of the governors of the states where they're positioned, and their activities are limited to supportive roles, such as providing surveillance. He has claimed without any apparent basis in fact that "Middle Easterners" were among the group. At rallies and on Twitter, Trump has tried to portray the Democrats as pro-illegal immigration, even claiming, with no evidence, that Democrats had organized and paid for the caravan. Trump tweeted on Friday that the U.S. has been spending "billions of dollars a year on illegal immigration" without providing any specific figures, but critics have said his administration has been vague about the costs of sending additional troops near the border, as well as those resulting from its controversial family separation policy earlier this year. The caravan swelled dramatically soon after crossing the Mexican border on Oct. 19, but sickness, fear and police harassment have whittled down its numbers. Since entering Mexico at its southernmost tip, the group has advanced roughly 150 kilometres. It's believed that some will seek to carve out a life in Mexico, while even those who make it to the American border with Mexico are unlikely to be successful in their quest to live in the U.S. The denial rate for El Salvadorans seeking asylum was 79 per cent from 2012 to 2017, according to Syracuse University's Transactional Records Action Clearinghouse. 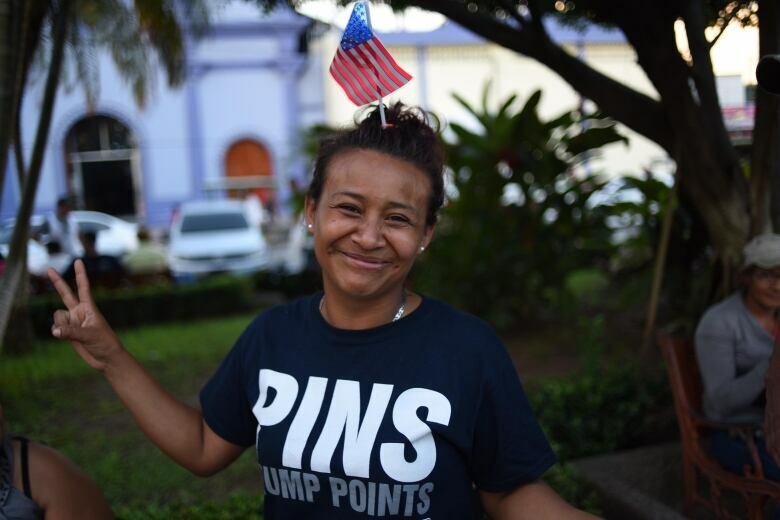 Hondurans were close behind with a 78 per cent denial rate, followed by Guatemalans at 75 per cent. The figures don't include those who have gone underground and remained in the U.S. as their cases awaited adjudication, but the Trump administration has sent a strong signal it wants to greatly reduce illegal and legal immigration. 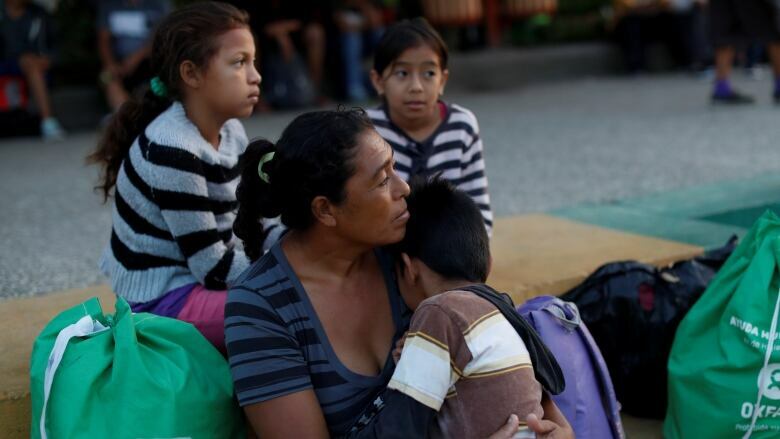 Earlier this year, Attorney General Jeff Sessions sought to have domestic violence and fear of gang violence struck from consideration in asylum cases from Central America, though it has been challenged in Federal Court. U.S. Homeland Security Secretary Kirstjen Nielsen said in an interview with Fox News Channel on Thursday that her department had asked the Pentagon for help to bolster its capabilities as it polices the border, including asking for "some air support ... some logistics, planning, vehicle barriers, engineering." 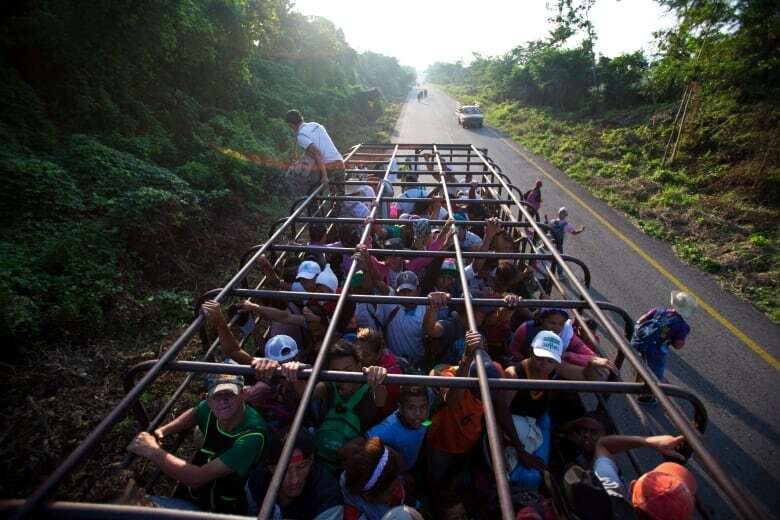 Whatever the number of migrants who ultimately reach the southern U.S. border, it is believed it will occur will after the midterm elections are decided.